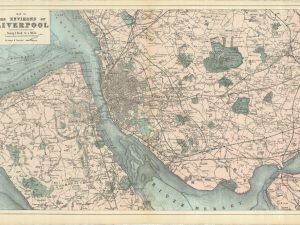 This is the south half of a detailed old map of Liverpool published in 1890. It is incredibly detailed, showing every road name, paths within the parks, and even individual buildings in some streets (where those buildings were big enough). There’s also an index to road names down two sides, making it easy to look up a place of interest. 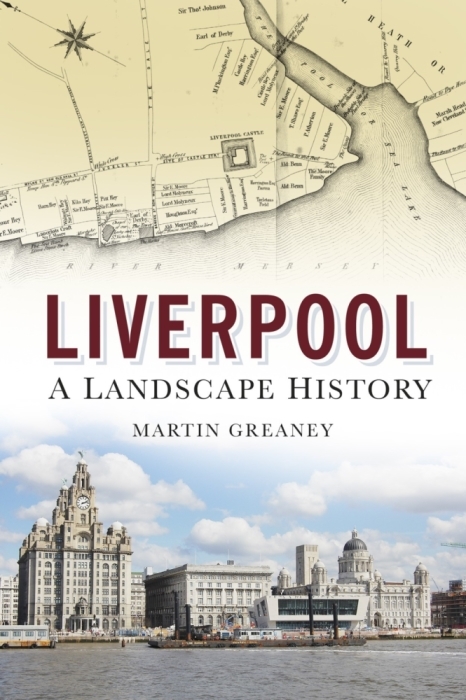 The map covers the south part of the built-up area of Liverpool, as it was in 1890. 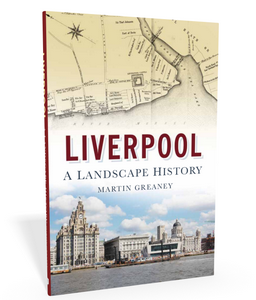 It covers the historic townships of Toxteth, Everton, and Liverpool itself. 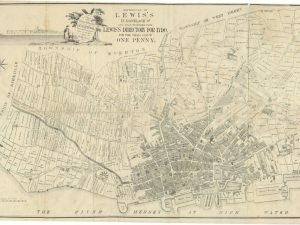 The Town Hall is the centre point of the map, from which all distances are measured. That’s just one public building named on the map. 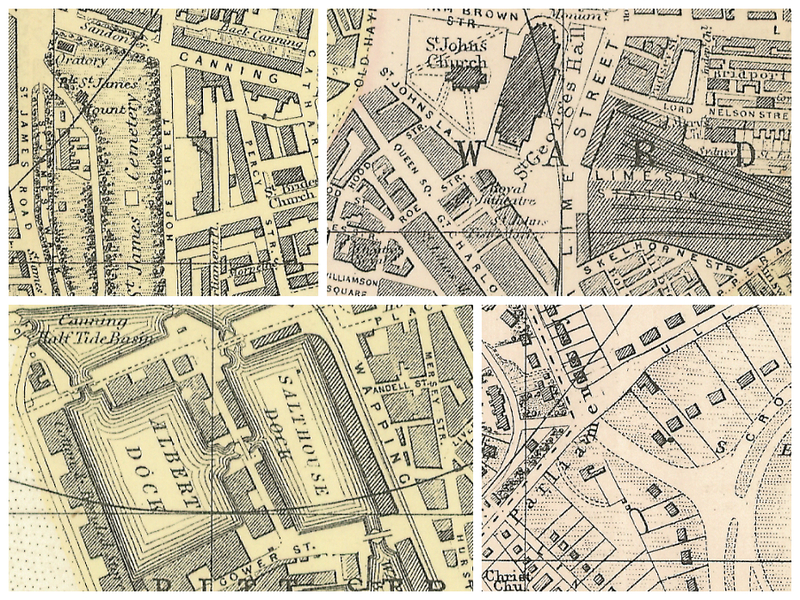 St George’s Hall has a label, as does the Free Library, Law Courts in Dale Street and the Municipal Buildings. Street names cover everything from the largest thoroughfares right down to everything but the smallest alleyways. 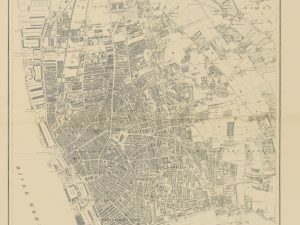 Whether your Liverpool ancestors lived above a pub on London Road or a tiny terrace on Constance Street you can locate on this map. Churches have their names here too, so you can tell your St George’s from your Independent Chapels. The Standard print comes at slightly larger than the original. These scans are so good that no detail is lost in the enlargement! I also have a limited ‘Bordered’ stock of this print which comes at a smaller size (equal to the original) with a white border suitable or mounting in a frame. This is beautiful. Can you tell me when the large is back in stock please? Sorry about that – I hadn’t updated it! It’s back in stock and you should be able to order it. 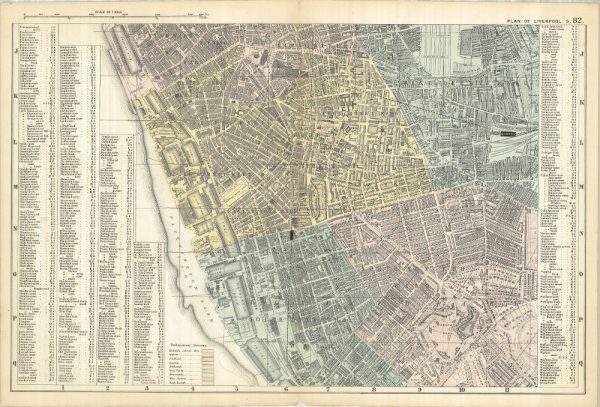 Hi, do you know if this map covers the Frederick Street area and Garston/Dale View area? 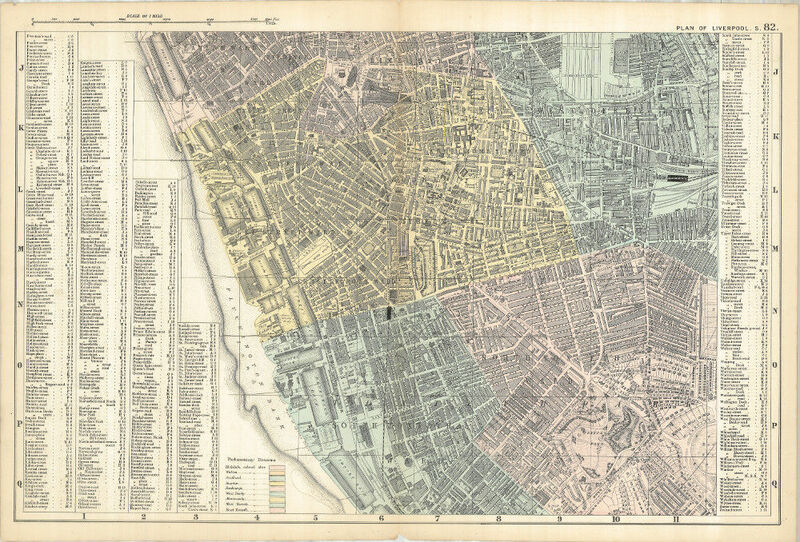 The map does cover Upper Frederick Street (which runs through the ‘D’ of Pitt Street Ward at this location: https://historic-liverpool.co.uk/old-maps-of-liverpool/plan-of-liverpool-south-sheet-1890/#5/72.907/-61.106). 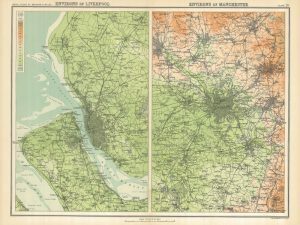 But it doesn’t stretch as far south as Garston.